Houses & Homes VA: Should I Pay a Mortgage Interest Rate over 4%? This has caused some purchasers to lament the fact they may no longer be able to get a rate less than 4%. 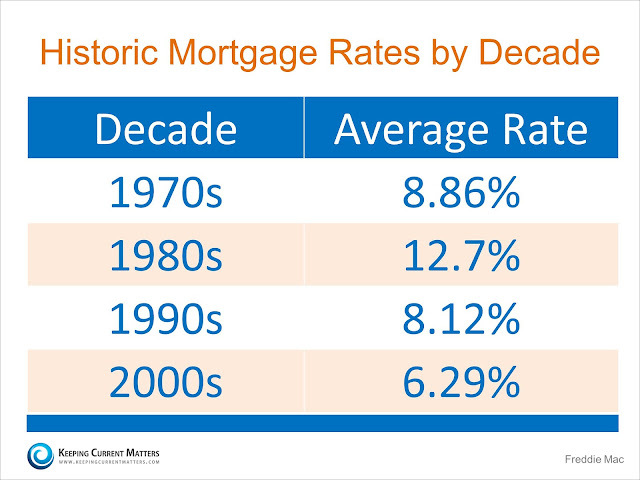 However, we must realize that current rates are still at historic lows. Here is a chart showing the average mortgage interest rate over the last several decades.